Sunday, Feb. 3: It's Super Bowl Sunday! Commercials! Puppies! Football! Maroon 5. Sunday, Feb. 3: It’s Super Bowl Sunday! Commercials! Puppies! Football! Maroon 5. 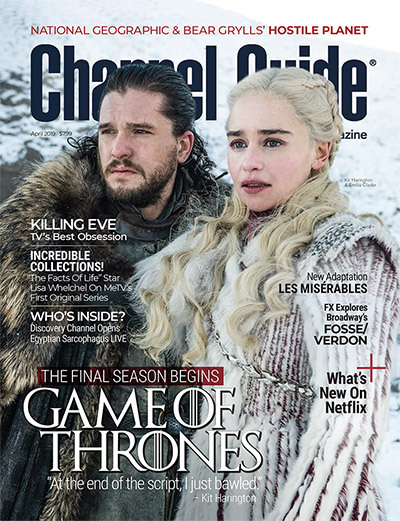 February 3, 2019 Channel Guide Staff Sports, TV Best Bets Comments Off on Sunday, Feb. 3: It’s Super Bowl Sunday! Commercials! Puppies! Football! Maroon 5. With all the pregame hype, the pricey commercials, the sharp spike in avocado consumption and the drama surrounding the halftime show, it’s easy to forget that there’s a football game in there somewhere. 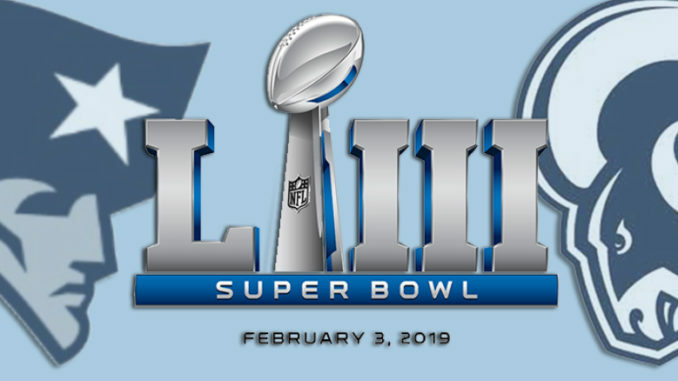 Super Bowl LIII between the AFC champion New England Patriots and the NFC champion Los Angeles Rams is played tonight at Mercedes-Benz Stadium in Atlanta. Gladys Knight sings the national anthem, and Maroon 5 performs at halftime with guests Travis Scott and Big Boi. Party with Dunder Mifflin Scranton employees Michael Scott (Steve Carell), Dwight Schrute (Rainn Wilson), Jim Halpert (John Krasinski), Pam Beesly (Jenna Fischer) and their colleagues for a Sports Day Sunday Marathon of The Office. One of the original and most beloved Super Bowl Sunday counterprogramming specials returns for its 15th installment. A new set of 93 adorable puppies from 51 shelters is ready to take the gridiron in this two-hour event that pits Team Ruff against Team Fluff. Along with favorite returning features like the Water Bowl Cam, Kiss Cam and Kitty Halftime Show, this year’s event also features a canine DNA test on some of the competitors to find out what they are really made of. Beth Stern hosts Hallmark Channel’s annual celebration of feline rescue and adoption in support of its “Adoption Ever After” initiative. This year’s event features kittens rescued from natural disasters, all of whom are vying for the National Championship of Feline Football trophy — and furr-ever homes. FOX News Channel presents this one-hour special during halftime of the Super Bowl. Hosted by FOX Nation’s newest addition, travel and lifestyle personality Abby Hornacek, the program will take viewers behind the scenes of FOX Nation, spotlighting the platform’s most popular shows, offering a sneak peek of upcoming new series and previewing exclusive content set to launch in the coming month. Additionally, Hornacek will be joined by a number of FOX Nation’s most prominent personalities, including Brian Kilmeade, Diamond & Silk, Tom Shillue, Katie Pavlich and Eric Shawn, each of whom will showcase their signature programming. The line between the two Howards (both played by J.K. Simmons) keeps getting fuzzier, as spy Howard Prime and Emily (Olivia Williams) inch closer to figuring out the plans of covert operation Indigo. Premiering after coverage of Super Bowl LIII, this 10-episode talent competition series features entertainment acts of all kinds from every corner of the world. The performers not only have to impress the celebrity judges, but they also have to break through the “wall of the world” — an international panel of 50 experts from all areas of showbiz — on their quest to be the best. James Corden hosts, and Drew Barrymore, RuPaul Charles and Faith Hill are the American judges. The judges become the judged! Restaurateurs Einat Admony and Michael Psilakis step away from their seats as persnickety Flay panelists and try to best Bobby. The 150th episode showcases a documentary entitled The Hood and the Rise of Vigilantes, starring Oliver Queen (Stephen Amell) and Felicity Smoak (Emily Bett Rickards). As a camera crew follows Team Arrow around to talk about their past as vigilantes and what the Green Arrow means to Star City, Oliver must also deal with William’s (guest star Jack Moore) return from boarding school, as well as a new threat to the city. Conrad (Matt Czuchry), Kit (Jane Leeves), Mina (Shaunette Renée Wilson) and the Raptor (Malcolm-Jamal Warner) work to save the life of a med student in need of a triple-organ transplant, drawing Bell (Bruce Greenwood) back to the OR for one of Chastain’s riskiest surgeries yet. Matt LeBlanc returns for Season 3 of this comedy about an old-school guy confronting the modern challenges of parenting, marriage and family. In the season premiere episode “Wife-Proof,” Adam (LeBlanc) attempts to make the office feel more inviting since Andi (Liza Snyder) will be joining him at work every day. In the second episode of TNT’s six-part limited series, Fauna (India Eisley) has arrived in Los Angeles and is determined to track down her mysterious grandfather, George Hodel (Jefferson Mays). Jay (Chris Pine) continues his pursuit of the Bloody Romeo, but he can’t let go of the story that ruined his career years ago — a story that involved George Hodel. Dr. Andrews (Hill Harper) tries to convince a grieving family to donate their teenage daughter’s face to another young girl whose face was horribly disfigured in an accident. In the new episode “Prior Bad Acts,” Bull’s (Michael Weatherly) new relationship is complicated by his renewed feelings for his ex-wife, Isabella (guest star Yara Martinez), when they’re reunited by the sudden death of her father. In this four-episode, hourlong series, renowned journalist Elvis Mitchell travels with A-list filmmakers and actors to places of inspiration around the world, gaining unprecedented access to explore how each location shaped the artists’ work and identity. Slated to appear with Mitchell are filmmakers Paul Feig (Bridesmaids), Sofia Coppola (Lost in Translation), Ryan Coogler (Black Panther) and Guillermo del Toro (The Shape of Water). When Saanvi (Parveen Kaur) goes missing, Ben (Josh Dallas) suspects a fanatical group who have become obsessed with the passengers from Flight 828. Michaela (Melissa Roxburgh) must face the consequences of her reunion with Jared (J.R. Ramirez). Zeke (Matt Long) returns to New York and has an ominous calling. From the South to Brooklyn to China, meet the people who reproduce, consume and reclaim black memorabilia — racially charged objects often wrapped in the protective embrace of antiquity and historical preservation. In Montana, Josh and Jesse Feldman track the path of famed steamship captain Grant Marsh, who rescued wounded soldiers from the Battle of the Little Bighorn — and possibly left behind a buried cache of gold. Greg’s (Diedrich Bader) insistence on doing the family’s taxes prompts Katie (Katy Mixon) to take matters into her own hands. Meanwhile, Oliver (Daniel DiMaggio) and Anna-Kat (Julia Butters) join forces in an attempt to win a popular radio contest. Barry (Grant Gustin) and Ralph (Hartley Sawyer) must go undercover as criminals in an illegal black market to purchase a device that could help them stop Cicada (Chris Klein). Once inside, Barry and Ralph find their morality tested as they slip deeper into the criminal world, eventually having to choose between committing a crime or losing the means to defeat one of their greatest foes. This week’s contestants play “Danger Word,” “Mount St. Ellen,” “See You Later Alligator” and “Aw Snap.” The winner of each of the first four rounds advances to “Know or Go,” and the person who wins that game advances to “Hot Hands” for a chance to win a cash prize. Host Henry Louis Gates Jr. delves deep into the roots of two African-American guests, actor S. Epatha Merkerson and athlete and television personality Michael Strahan. Both discover unexpected stories that challenge assumptions about black history. Two Eastern Conference contenders collide when Kawhi Leonard and the Toronto Raptors visit Jimmy Butler and the 76ers in Philadelphia. The second game of TNT’s doubleheader has the Miami Heat at the Portland Trail Blazers. Postponed from Jan. 29, President Donald Trump is scheduled to deliver the State of the Union Address tonight. Expect coverage from the usual broadcast and cable news networks, like ABC, CBS, CNN, FOX, Fox News, NBC and PBS. This scripted drama from the producers of BET’s hit biopics The New Edition Story and The Bobby Brown Story recounts how the iconic series Soul Train became the first nationally syndicated black music show. It also goes behind the music to detail battles with record labels for top talent and off-camera drama as young dancers vie for the spotlight. Sinqua Walls plays legendary series creator Don Cornelius, and music artist Kelly Rowland will act and sing in a multi-episode guest arc as Gladys Knight. The series begins with back-to-back episodes tonight. Host Brad Miller visits North Carolina for a taste of Indian street food made by an award-winning chef and checks out a larger-than-life hot dog cart that’s putting a delicious spin on the American classic. Then, he travels to Los Angeles to visit a husband-and-wife-owned truck whose authentic, buttery French crepes are winning over Californians. Celebrity wedding designer David Tutera helps deserving couples plan lavish weddings that are worthy of their inspiring love stories. Then, the happy couple will tie the knot — live — before family, friends and all of America. In the premiere episode, David helps Redmond Ramos, a military vet who now works as a motivational speaker, and Krista Cona, Redmond’s firefighter fiancée, plan a wedding fit for a pair of heroes. The new global talent competition series, which premiered after Super Bowl LIII, moves to its regular day tonight with a special two-hour episode. Amidst preparations for their upcoming wedding, Sierra (guest star Robin Givens) and Tom (guest star Martin Cummins) receive an unsettling message, which forces “The Midnight Club” to reunite. Meanwhile, Veronica (Camila Mendes) and Reggie (Charles Melton) take drastic measures to clean up a mess they created. Giannis Antetokounmpo and the Bucks host Bradley Beal and the Washington Wizards at Milwaukee’s Fiserv Forum, followed by the San Antonio Spurs heading to Oakland’s Oracle Arena to face the Golden State Warriors. Dr. Halstead (Nick Gehlfuss) withholds some important information from Dr. Manning (Torrey DeVitto), and she begins to question his suspect behavior. Dr. Choi (Brian Tee) comes to some difficult conclusions involving April (Yaya DaCosta) over a patient’s care. An incident in the OR involving Dr. Bekker (Norma Kuhling) at the hands of Dr. Rhodes (Colin Donnell) may have serious implications. From the arid deserts to the deepest oceans, this special counts down some of the greatest wildlife video footage ever captured in five jaw-dropping categories: Deadly Showdowns, Freaks of Nature, Gang Wars, Rough Romance and Extreme Parenting. Cruz (Joe Minoso) leads the charge in getting the firehouse to gear up for the Polar Plunge. Herrmann (David Eigenberg) has a hard time bouncing back after dealing with a tough call. Foster’s (Annie Illonzeh) personal relationships begin to interfere with her job. Stunning new archaeological evidence provides clues about the Egyptians who built the Great Pyramid of Giza — and how they did it. Join researchers as they delve into the logbook of a work crew and discover how the massive project transformed Egypt. Kady (Jade Tailor) gets a puppy; Quentin (Jason Ralph) meets a snake. Season 14 comes to a close with the finale episode “Truth or Dare.” CBS announced that Criminal Minds will end after a 15th season of 10 episodes. In the new episode “A Very Good Boy,” Jimmy (Chris Geere) attempts to prove that, despite being on the verge of becoming a married man, he has not lost his edge. Learn how Francisco Franco won the Spanish Civil War and became dictator of Spain. Saya (Lana Condor) and Marcus (Benjamin Wadsworth) have to survive an attack on the school when Saya’s past comes back to haunt her. NBCSN has live coverage of the ISU Four Continents Championships, featuring figure skaters representing nations outside of Europe, from the Honda Center in Anaheim, Calif., Feb. 7-10. This documentary follows Tony-honored drama teacher Melody Herzfeld and her Marjory Stoneman Douglas drama students as they help their community to come together and heal following a tragic shooting inside their school. They use their production of a musical to demonstrate that positivity and good things can come from the horrors they’ve witnessed. A patient gives Meredith (Ellen Pompeo) some clarity on her dating situation around the holidays. The strain on Bailey (Chandra Wilson) and Ben’s (Jason George) marriage comes to a head. Meanwhile, Betty (Peyton Kennedy) drops a bomb on Owen (Kevin McKidd) and Amelia (Caterina Scorsone). In this special 300th episode, Sam (Jared Padalecki) and Dean (Jensen Ackles) look to occult lore for a solution to their latest problem, but instead of a resolution, they find much more than either of them had anticipated. Jeffrey Dean Morgan returns as their father, John Winchester. Zac Efron, Adam Devine and Anna Kendrick star in this 2016 comedy about two brothers who get more than they bargained for when they find dates for their sister’s Hawaiian wedding. On the eve of the new restaurant opening, Delilah (Stephanie Szostak) tracks down a handsome expert to help with the last-minute details. Meanwhile, Regina (Christina Moses) struggles with her overbearing mother, who causes friction by bringing up disturbing details of her past. Terry (Terry Crews) believes the Pontiac Bandit is stealing cars again, but Jake (Andy Samberg) is convinced his friend wouldn’t do that. The rest of the squad fight to keep Shaw’s a police bar after some firemen stake their claim to it. In the new episode “Bitcoin & the Missing Girl,” Ilana (Ilana Glazer) visits an old flame to cash out her Bitcoin share, while Abbi (Abbi Jacobson) drops off her laundry for the first time and loses her favorite sweatshirt. As Stone (Philip Winchester) prosecutes the case of a woman who killed her abusive husband, Benson (Mariska Hargitay) and her squad wrestle with the duty of testifying against her. In the new episode “Chase Gets a Girlfriend,” Chase (Case Walker) collaborates with another up-and-coming singer on a romance, forcing Brooke (Heléne Yorke) and Cary (Drew Tarver) to confront their own current (and past) relationships. The acclaimed reboot of the classic Norman Lear comedy returns for Season 3. Justina Machado, Rita Moreno, Stephen Tobolowsky, Todd Grinnell, Isabella Gomez and Marcel Ruiz star. This eight-episode thriller stars Doctor Who and Life on Mars alum John Simm as Jonah Mulray, a sheltered London professor whose wife has just died in a car accident on a mountain road in Hong Kong. When he travels there to unravel the mystery behind her death, he makes a shocking discovery and is drawn into a web of conspiracy as he searches for the truth about the woman he loved. In the 2-hour Season 18 finale, the final two chef-testants receive unexpected help for their final menus before the biggest service of their lives at Six Flags Magic Mountain. In the end, only one will have what it takes to be win the life-changing grand prize: $250,000 and a position at the world’s first Gordon Ramsay Hell’s Kitchen Restaurant at Caesars Palace in Las Vegas. Colin Firth, Taron Egerton and Samuel L. Jackson star in this 2014 action comedy about an elite, super-secret spy organization that recruits a promising street kid who just might be what the ultra-competitive training program can use. Patterson (Ashley Johnson) and Rich (Ennis Esmer) embark on a Peruvian treasure hunt in a gambit to save Jane (Jaimie Alexander). Rebecca (Rachel Bloom) supports Paula (Donna Lynne Champlin) in her time of need, despite her own personal challenges. Emotions run high when Greg (Skylar Astin), Josh (Vincent Rodriguez III) and Nathaniel (Scott Michael Foster) have an unfortunate encounter. In Dominique Morisseau’s new play, Nya, an inner-city teacher, is desperate to help her son. When he gets in trouble at school, Nya must confront his rage and her choices, and try to reach him before he gets pulled away forever. Season 2 of the comedy special/talk show-hybrid, based on the hit podcast from Phoebe Robinson and Jessica Williams, includes appearances by Daniel Radcliffe, Lupita Nyong’o, Keegan-Michael Key, Rory Scovel, Solomon Georgio, and Lizzo. CBS and CBS Sports Network air Alliance of American Football games during the eight-team league’s inaugural season. CBS kicks things off tonight with a regional game featuring the San Diego Fleet at the San Antonio Commanders or the Atlanta Legends at the Orlando Apollos, depending on your local market. Maggie Lawson stars as Jamie, who learns that her first love, Sawyer (Sam Page), is the architect of a development that would change her beloved neighborhood and threaten her bookstore. But a collection of old valentines might be the key to helping them see eye to eye. HBO presents this highly celebrated 2018 theatrical film, which is an intimate look at the life and work of Fred Rogers. The documentary tells the story of the soft-spoken minister, puppeteer, writer and producer whose show, Mister Rogers’ Neighborhood, was a staple of American childhood and PBS programming for more than 30 years. Victoria Gotti herself executive produces and narrates this biopic that details what it was like for her growing up as the daughter of infamous mob boss John Gotti (portrayed by Maurice Benard, who also plays daytime drama General Hospital’s resident mobster Sonny Corinthos). Chelsea Frei plays Victoria in the film, which reveals the glamour, glitz and unique hardships of her world as she tried to reconcile the loving father she adored with a man the outside world was determined to bring down. ABC’s Saturday primetime NBA matchup has Russell Westbrook and the Oklahoma City Thunder in Houston to face James Harden and the Rockets. This episode features a painted wolf named Tait, matriarch of one of the last great families of endangered African wild dogs in Zimbabwe’s Zambezi River floodplain. Tait has ruled her dynasty and kept the peace for many years, but tensions are rising as Tait’s power is waning with age.